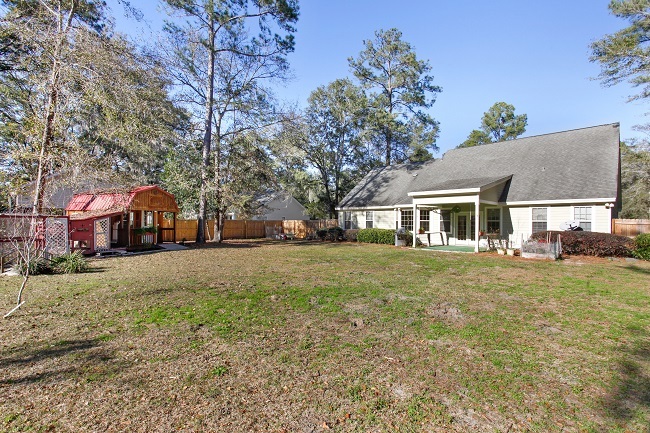 91 Klugh Avenue is nestled in the quiet country community of Ridgeland, South Carolina. Klugh Avenue is a small, quiet street off of Bees Creek Rd. This four bedroom, three and a half bath home boasts 2300 square feet of enjoyable living space. It offers hardwood floors, high ceilings, and elegant features throughout. Nestled on half an acre, it also has a bonus room over the attached two car garage. This floor plan easily flows and is nice and open. The family room has access to the fenced back yard from the french doors, leading out to the large fenced back yard. 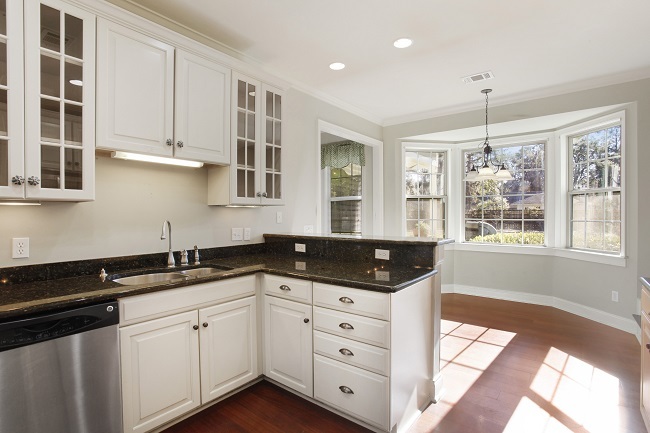 The kitchen is adorned with stainless appliances and custom cabinetry. There is also granite countertops, convenient lighting below the cabinets, and room for the kitchen table next to the bay window. The master suite, as well as the additional bedrooms, all have plush carpet. 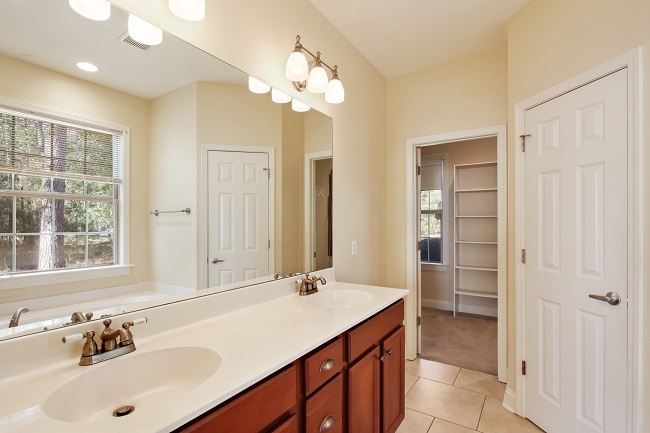 The master bath has double sinks, separate shower and tub, and nice bright window for natural light. Two of the bedrooms share a jack and jill full bathroom with double sinks. The large fenced back yard has a fabulous custom Man Cave / She Shed that has unlimited opportunities. The possibilities are endless with air conditioning, insulation, and electricity. The small community is close to Hilton Head, Bluffton, and Beaufort, making shopping and dining convenient and easy. 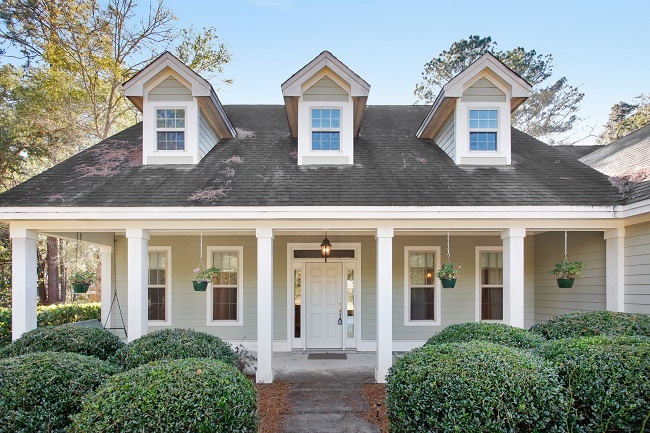 Our Team of Real Estate Professionals specialize in Ridgeland South Carolina, which is in the heart of the Lowcountry. We offer full service Real Estate Listing Services, Buyers’ Representation, long term property management, vacation beach rentals, and real estate investment. Visit our local office at 910 Charles Street, Beaufort SC 29902 or call (843) 521-2022.